Home » Archive for category "Legal & Legislation"
Recently there has been a number of enquiries by members seeking advise on their legal rights in relation to “Return to Work Plans”. WorkChoices took away the rights of working Australians. Todays Liberal leader Tony Abbott was a key Minister in the former Liberal Government that introduced WorkChoices. Now, he wants to bring it back. He just wont call it WorkChoices. Australian workers will suffer cuts to their pay and conditions and lose protection from unfair dismissal under Liberal leader Tony Abbott’s plan to bring back Work Choices, warns a new national union TV ad campaign. Help the Union movement grow and support our union campaign. 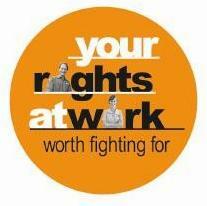 Take vital action to help protect your rights at work. Unions are seeking a $21 a week pay rise for workers on minimum wages to protect jobs by maintaining the purchasing power of working families and stimulate the economy. The Fair Work Bill has passed through the Senate, after the Government reached an agreement with Senator Steve Fielding on phasing-in its definition of small business for unfair dismissal purposes. The deal means the Government can stick to its timetable of having its key IR changes – including to unfair dismissal and bargaining – operational on July 1, while the modern awards system and the NES will take effect from January 1 next year. On 20th March 2009 the parliament passed the Fair Work Bill 2008, now called the Fair Work Act 2009, which will replace the Workplace Relations Act 1996 (“Work Choices”). McLean McKenzie and Topfer have branches in Burnie, Smithton and visit Launceston and Hobart regularly. Union members can receive assistance from McLean McKenzie and Topfer with any legal matter, whether associated with work or personal. Give us a ring on 6331 7233 for further help.